Help your little one relax and unwind after a busy day of playing and learning with Little Green Radicals Sleep Balm. A perfect addition to your bedtime routine, it is made from a blend of natural ingredients including beeswax and lavender oil to soothe and relax and valerian oil to calm a busy mind and assist a peaceful night’s sleep. Your little one will soon drift off to dreamland. Perfect for mums and dads too! 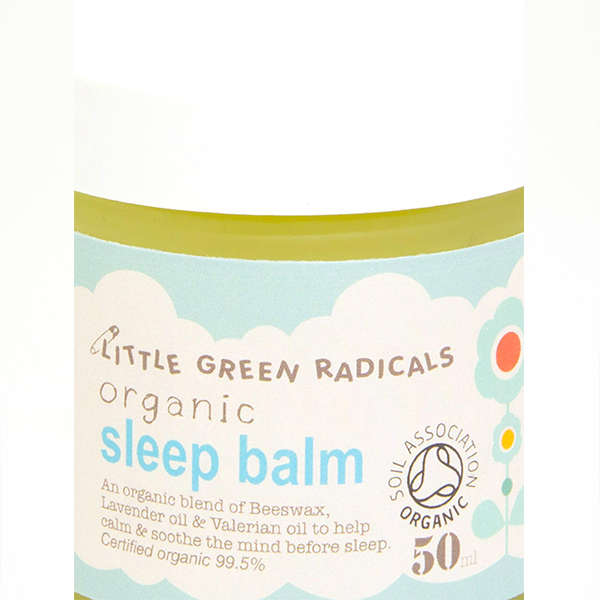 Hand made in Dorset, Little Green Radicals Sleep Balm is Soil Association certified and not tested on animals. Apply to the temples, neck or pulse points to calm and relax. For external use only, avoid contact with eyes. If irritation occurs, discontinue use.